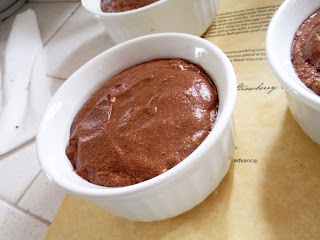 Last Saturday I did a Girls Night Spoon: Budget Friendly Meals for One, or Two in Solvang, CA. A dream come true of a day really. Some ladies around a table, an oven, a stove, drinking local wine and learning some new techniques. I wanted to do a simple yet elegant dessert. Something they could do, and might do, and should do. Something with all the ingredients you would seemingly have in your pantry for baking, but dolled up. 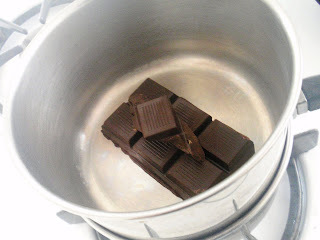 Melt chocolate in a double-boiler so it won't burn. 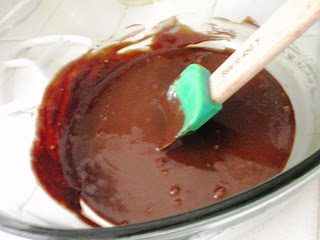 When melted, add the sweetened coffee, then butter, whisking well. Remove from the heat and allow to cool for 10 minutes. Stir in 4 egg yolks, one by one. Beat the egg whites with a pinch of salt until stiff peak forms. 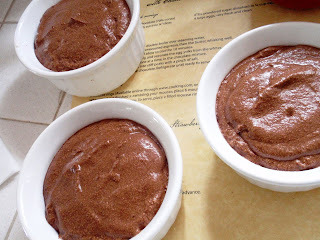 Gently fold into the chocolate and place in ramekins then the fridge until you're ready to serve it. It's fancy, can be made ahead, and the ingredients are far from pricey. This looks super yummy- I can't wait to try it!!! It's pretty delicious and not too hard to make either!